Sometimes, marriage counseling isn’t enough. Sometimes, it’s just not meant to be. Sometimes, divorce is the only answer when it comes to a marriage. While divorce is hard and heartbreaking, that doesn’t mean you should fall into a pit of despair. You still have a life, a family, and a career to keep you going day after day. During a divorce, many people forget that they need to live instead of just going through the motions. 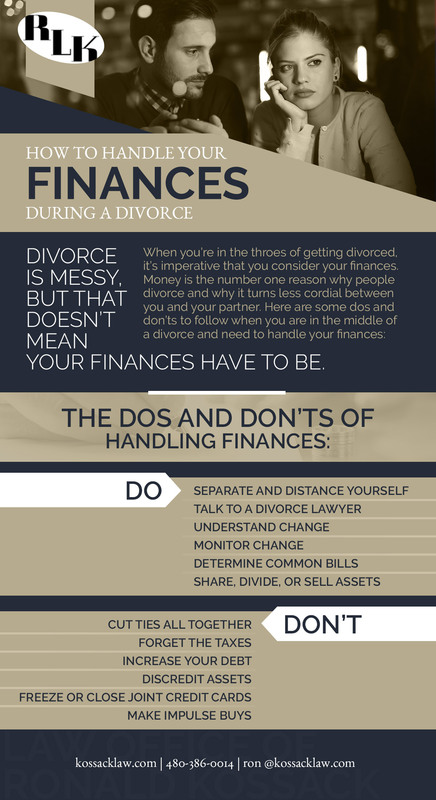 As you go through a divorce, there are some vital reminders to remember such as handling your finances. Many people who are going through a divorce tend to forget about their finances or they overthink them and make some mistakes. Our divorce lawyer would like to go over some reminders to help you learn how to handle your finances during a divorce and some tips you should be aware of. Be Wary Of Advice: Lots of people love to give advice, especially when you’re going through a rough patch in your life. Additionally, a lot of people like to utilize the internet when they are going through a divorce. It’s important that you keep in mind a few things. First, divorce is different in each state, so be cautious when you’re looking up information online. Second, your friend or family member may have gone through a similar situation and would like to give you advice, but remember that every situation is different and what may work for one person may not work for another. Gather Documentation: Documentation is one of the most important things you can bring to the table as you prepare for a divorce. You’ll want to have all of your financial records so you can detail the tale of your finances during the marriage. Track Expenses: Additionally, keep your current expenses in order and track the household income. When the marriage dissolves, you’ll be able to budget afterward as well as figure out alimony and child support. Track the past few months or even years to project your future expenses. Be Conservative With Spending: As the divorce continues on, you’ll probably want to spend some money, but keep the spending to a minimum. If you have joint accounts, then you’ll need to separate them, especially if assets, income, and debts are intermingled. Emptying your joint account to be spiteful or spending more than usual could come back to be damaging as well. Prepare For Resistance: You’re going to get a lot of pushback from your soon-to-be ex-spouse. Prepare for any resistance, even if you think the relations between the two of you are cordial. You’ll want to anticipate that it’s not going to be smooth sailing, especially when it comes to money. 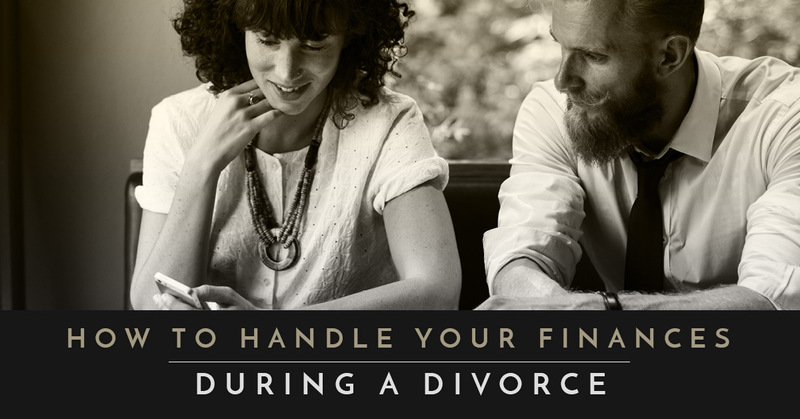 Handling your finances during a divorce can be one of the most important things you can do. Not only are you protected for your future, but it can make the divorce easier when you track and document spending and savings. At The Law Offices Of Ronald Kossack, we can help you move through your divorce smoothly. Whether you and your significant other are going through a divorce amicably or there are some lingering frustrations, we’re prepared to help you through court or consult during a mediation. For more information about how we can help you, schedule a free consultation.